I love Armello. It’s one of those rare few games that I’m still playing years after first picking it up, and it’s just so good that I can’t see myself getting sick of it anytime soon (or ever). It’s a digital board game that offers a combination of turn-based strategy RPG mechanics and warrior animals, for crissakes. It’s difficult to top it on concept alone. 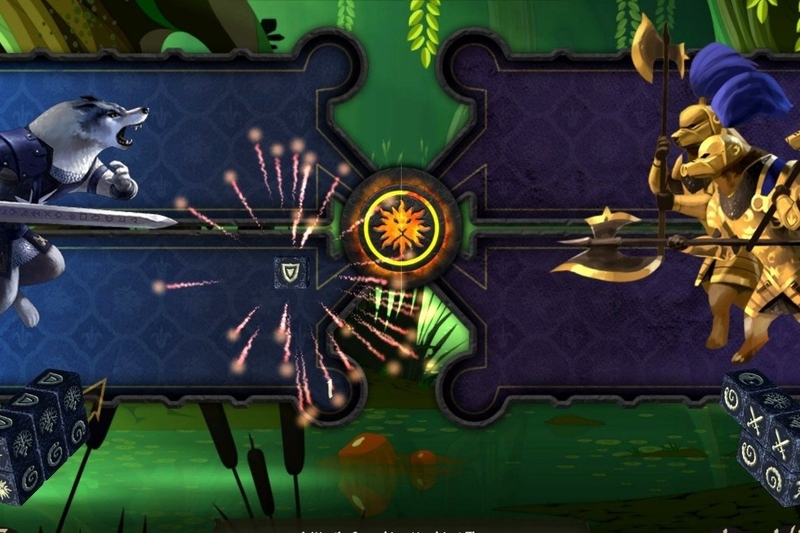 Related reading: Nick's review of Armello, on its original PS4 release. And now it’s on iPad, solving my one issue with the game; it’s something that I’ve wanted to be able to carry around with me and play on the train, or on airplanes, or… anywhere else, really. It’s the kind of game that suits short gaming sessions on the go, and I’m so glad that the iPad version has worked out so well for that reason. I will say upfront that there’s a slight decline in visual quality on iPad. On console, Armello is nothing short of resplendent, with an intricately designed world, gorgeous, detailed characters and the most amazing art on the games in-game cards and dice that you’ll be throwing around. The technical beauty of it is a big part of the appeal, so I can see the iPad port of the game disappointing some people for its more moderate details and fuzzier lines. That being said, the art direction itself is as incredible as ever, and that's the more important thing, as the game’s world is still so very beautiful as a result. For anyone who hasn’t played Armello before (where have you been?) it is, as I said, about as perfect as a digital board game could get. In each game, you take control of one of four different animal heroes, each with their own special abilities and skills. The rabbit quests differently to the wise bear magician, and of course the rat's the sneaky one. Your goal and target is the (lion) king, who has been infected with a rot that is making him go evil and crazy. There are four ways to win this game; cure the king of his rot by collecting spirit stones that pop up over time around the map, simply kill the king outright, out-corrupt him by becoming more infected with rot than him, or have the most prestige when the king’s rot finally claims his life. The great thing about Armello is that each of those goals is evenly balanced, and every character can achieve all four victories. Certainly some characters are more naturally attuned to a particular result than others; for example the warrior wolf is far more competent at first in melee combat with the king, and the physically weak bunny needs some serious boosts to achieve that victory. But there’s nothing to stop the warrior character from running around completing quests and tallying up the prestige while he does so either, and there's nothing to stop the bunny collecting the heaviest armour and swords imaginable to tackle the king with. Armello is a fairly complex board game, and there are four tutorials to work through to get a basic feel for how it all plays out. After that, it’s still a challenging game, and you’ll find the early going hard on your strategic capabilities. After a while the game’s many systems start to click together (in no small part because everything that happens in the game is so elegantly explained), and then Armello becomes very, very competitive. Get a group together to play this one, and the most intense of friendly rivalries won’t begin to explain in. 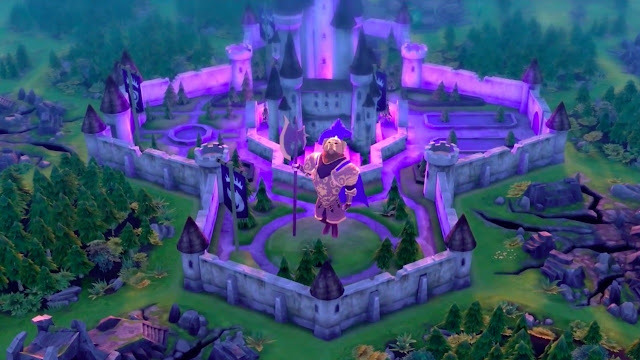 On iPad, Armello’s gone free-to-play. At first I thought that meant it was going to be laboured with all kinds of nasty microtransactions, as the game is a premium title on console, but I was happy to be proved wrong. In fact, the base game really is effectively free. What you can spend money on is loot crates for alternatively coloured dice and other superficial things like that… or you can purchase additional characters to play with. 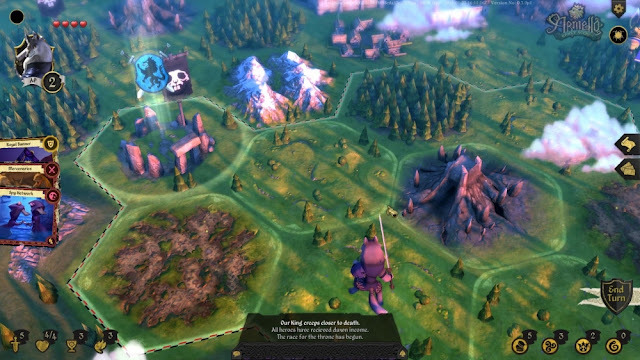 The base Armello game has four heroes. There’s around a dozen, give or take, that you can unlock either by slowly accumulating in-game cash, or buying them outright. These alternative characters aren’t any better or worse than the default four, but they do broaden the gameplay experience. Or you can pay for a subscription to Armello and get everything (as well as all upcoming add-ons to the game) for a small monthly ($7) or annual fee ($30). 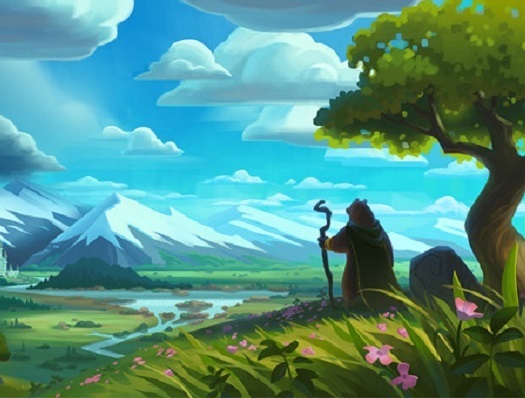 I’ve been happy to do this because firstly, I want to support the ongoing development of Armello (as long as they keep making money the incentive will be there to continue to add more characters and stuff to the game), and secondly, because the amount of time I spend playing the game more than justifies that small monthly cost. As far as free-to-play games go, Armello offers one of the most genuine monetisation models that I’ve come across. Playing for free, forever, is a genuine option, but if you want to get more involved with the game there are a number of different ways to do so. And, critically, the gameplay itself hasn’t been adapted to mobile, in the sense that the developers aren’t throwing timers or obscene difficulty spikes, and other aggressive roadblocks at players to convince them to spend money just to keep playing. Of course this probably means Armello won’t make much money from mobile at all, but I’m doing my part at least. Armello is one of the finest games ever developed in Australia, and it’s one of the best mobile games out there. It’s worth noting that it does require pretty modern iOS hardware to even run, so there will be quite a few people with older devices that sadly miss out, but if you do have a device that can run it, and somehow haven’t yet checked out the game, you’ve got no excuse now. It’s literally free, and can be played anywhere and at any time.